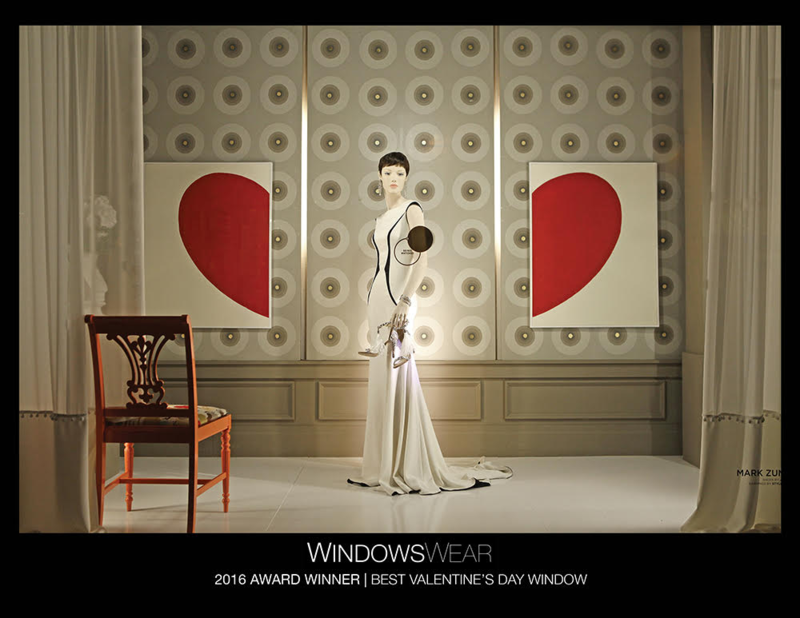 Homepage / Uncategorized / Kleinfeld Windows Wins 5 WindowsWear Awards! 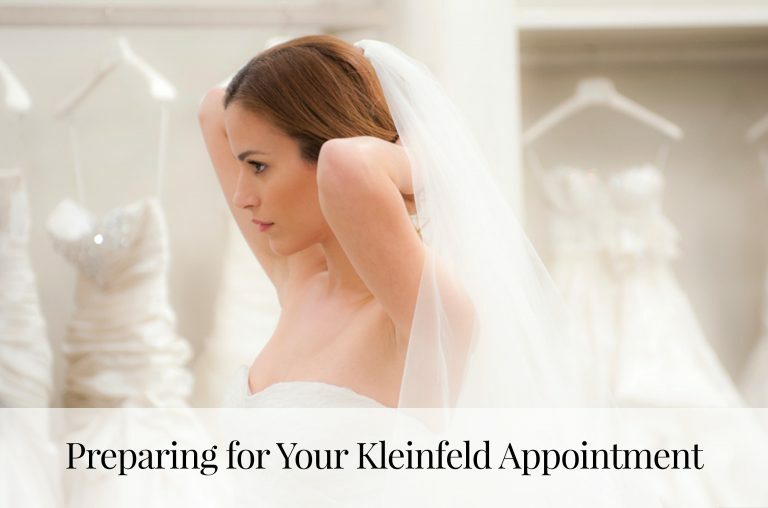 Kleinfeld Windows Wins 5 WindowsWear Awards! 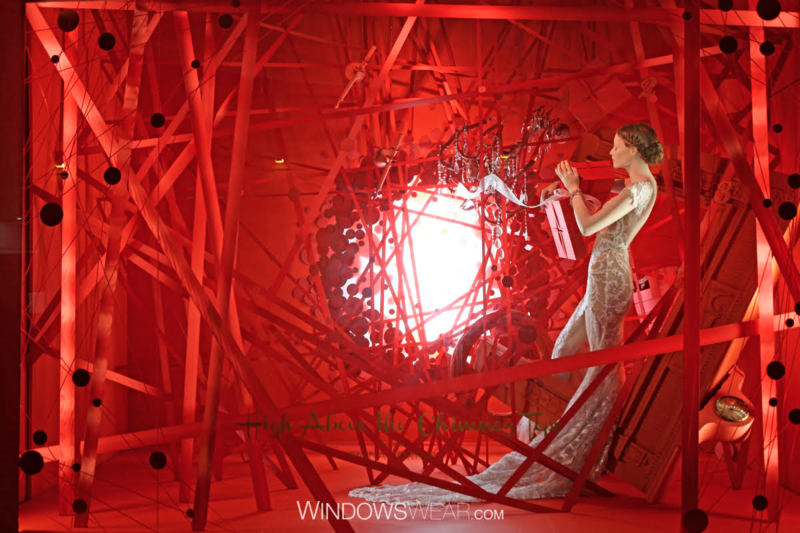 WindowsWear, the leading fashion technology company, specializes in display windows for luxury and high-end brands. 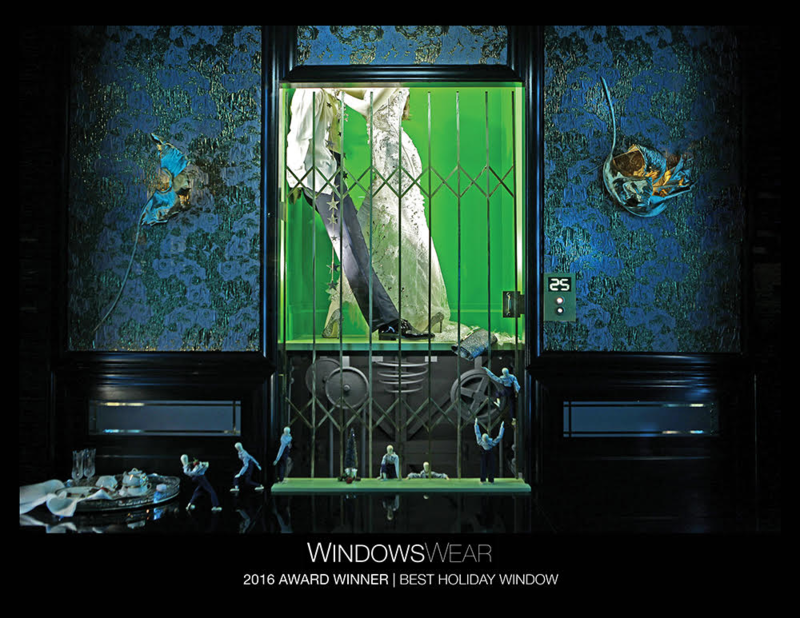 Every year, they hold the Annual WindowsWear Award party, recognizing brands for their beautiful and unique window displays in many different categories. 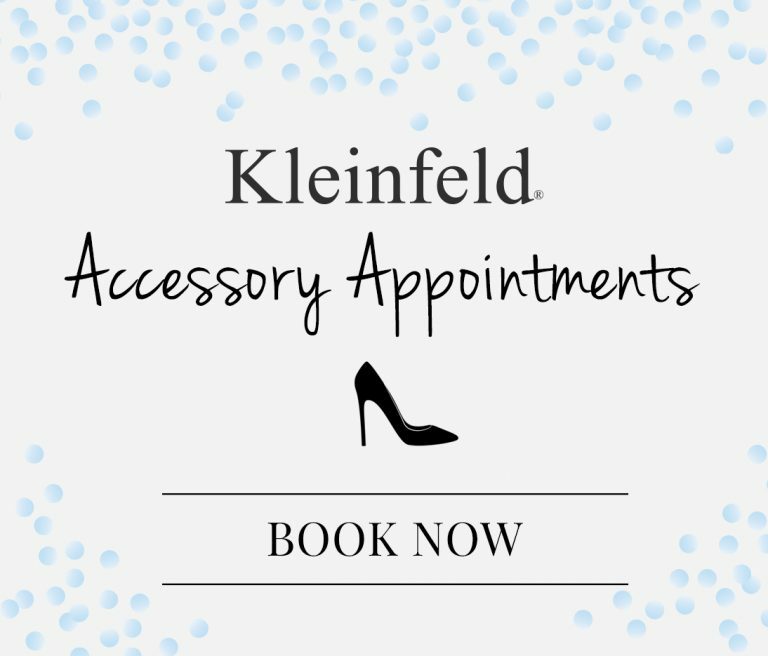 Kleinfeld has won five awards from Windows Wear over the past three years including: Best Holiday, Best Valentines, Best Red Windows, Best Mannequin and People’s Choice. Take a look! Holiday Windows were inspired by the parallel stories of the upstairs and downstairs of Downton Abbey. Elevators in a fancy hotel set the scene for the arrival and passage of the holidays. In one window, the bride and groom are approaching the 24th floor representing the beginning of Hanukkah and the other window another couple is approaching the 25th floor representing Christmas. 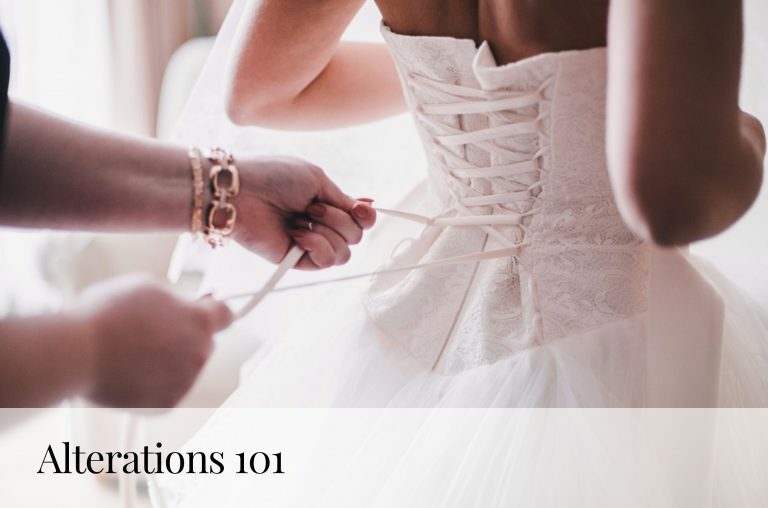 In contrast, little worker men are feverishly trying to make sure the elevators are working properly for each bride and groom and all of their celebrating guests. This holiday window was inspired by the tornado in the Wizard of Oz representing the frenzy of the holidays. Everything is upside down and going very fast towards the vortex that is the end of the year. This window was inspired by the film Rear Window. The passerby becomes the Peeping Tom. The windows are actually windows of an apartment this is why the curtains are on the side. Altered State windows were inspired by the New York iconic brownstones and a courtyard romance.